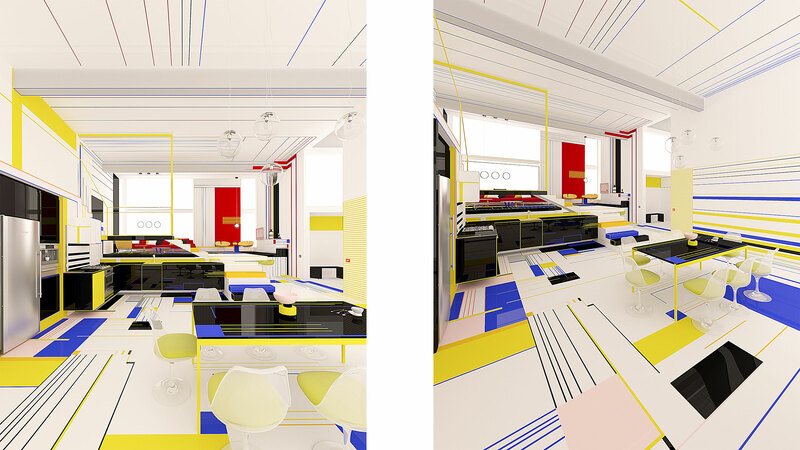 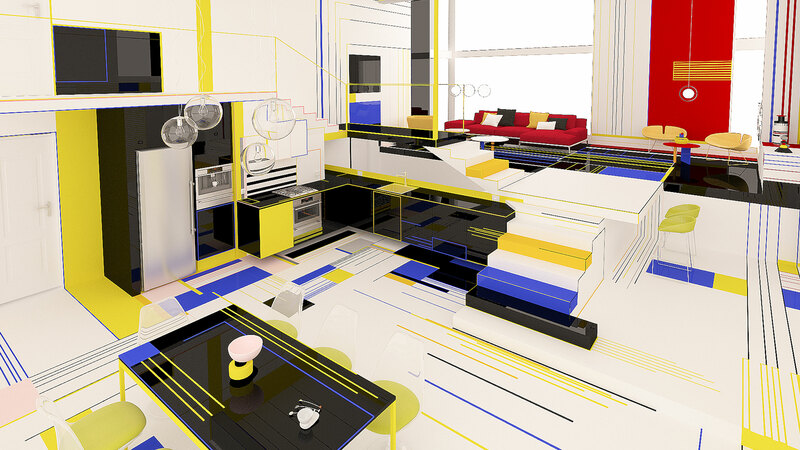 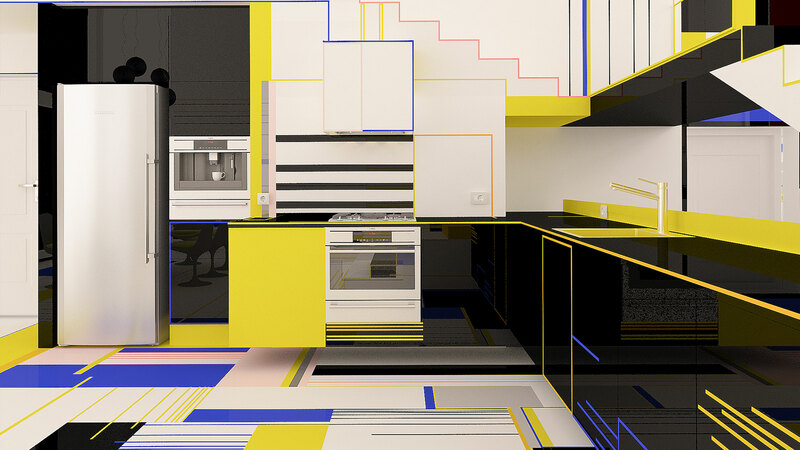 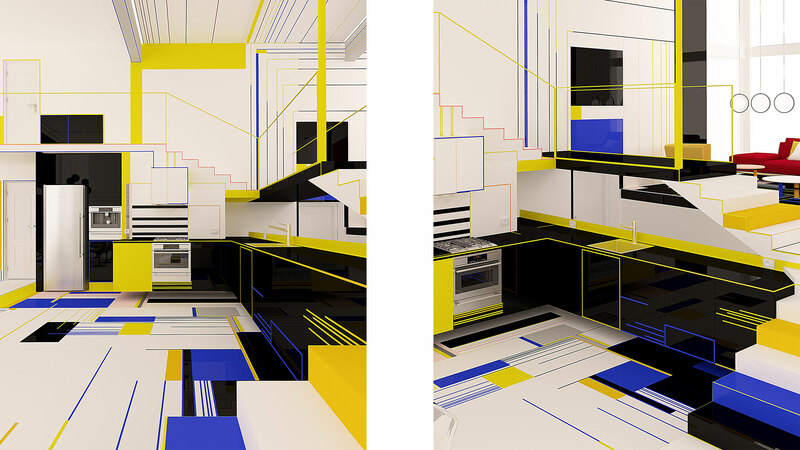 Bulgaria-based design studio Brani & Desi, recently designed an interior inspired by the work of Dutch painter Piet Mondrian. 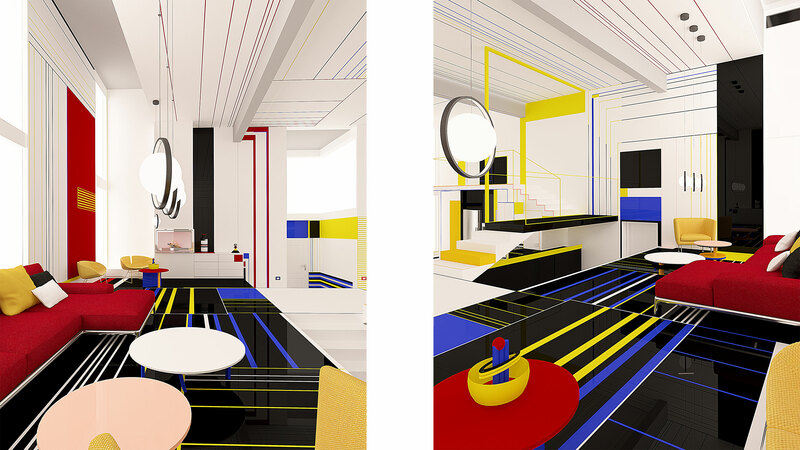 Breakfast with Mondrian uses the forms, lines and colors typical of Mondrian paintings, with black elements that ground the space and a larger white backdrop that activates the colors and makes them pop. 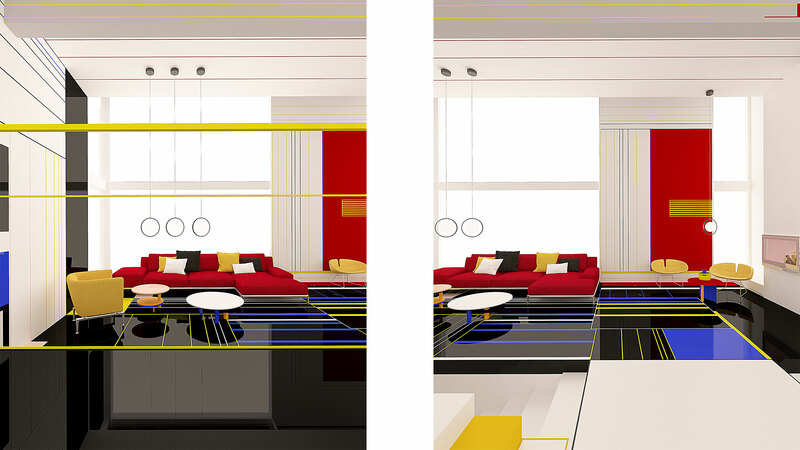 While every zone of the home has its own function, the open layout allows for the areas to be united with by the lines that draw your eye around.